Selling a car is painful and it has been for a while. German Auto1 attempts to fix a part of this process but what would the perfect experience look like? Auto 1 Group, founded in 2012, has become one of the fastest growing tech companies in Europe closing a financing round at a valuation of over €1 billion in early 2015 . 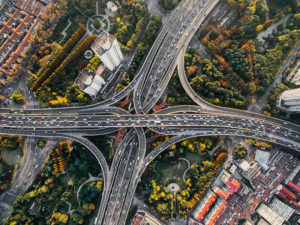 Based out of Berlin, Germany, Auto1 operates across Europe and the US and is one of the key disrupters in the used car market generating revenues of over €850 million annualised . Traditionally in Germany a used car sale would take 90 days  and would happen mostly via any of the following three channels: Selling to a used car seller at the risk of poor customer experience and selling for too little; Approaching an OEM for trade-in or sale with usually a better experience but also at the risk of receiving too little money; or attempting to sell privately through offline or online classifieds. The latter is often time consuming and nerve-wrecking: within minutes of putting the ad up the seller is contacted by shady buyers trying to haggle and close the deal immediately. Dealing with private buyers also tends to involve price discussions and time consuming meetups. Through a mixture of digitalization both on the consumer side but also in the supply chain Auto1 attempts to fix this sub-par experience. 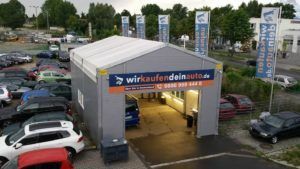 On any of their online platforms such as “Wirkaufendeinauto” (“We buy your car”) the seller uploads basic vehicle information, receives a provisional price for the car and schedules an appointment in one of their 100 inspection centres . Arriving at the inspection centre, a mechanic checks takes 20 minutes to check over 200 attributes of the car and uploads them in a standardised form on an iPad. This information is immediately sent off to a central pricing office that within ten minutes returns the final offer price. The client then has up to five days to decide whether to accept this offer and leave the car at the inspection centre. The sale process is reduced to an average of ten days. Once the car is inspected Auto1 immediately uploads the details, photos and damages to its dealer portal. Dealers from all around Europe immediately bid on the car and based on these bids Auto1 can offer a price to the seller with a guaranteed margin eliminating much of its risk in the process. Subsequently, Auto1 only needs to ship the car to the buyer. Auto1 has squeezed itself into the buying side of the used car business extending it from C2B2C to C2B2B2C with the true value add coming from the seller’s convenience and making the European car market more efficient. Auto1’s margin substantially comes from arbitrage across Europe with, for example, German cars having a higher resale value abroad. The losers are not only German used car salesmen that now face international competition in purchasing but also German exporters that were formerly doing Auto1’s job. According to PWC the number of car dealership will decrease by 30% from 7.800 over the coming years . However, some problems remain. Auto1 has tremendous potential but it focuses on the low end of the market with an average purchasing price of around €5.000. Towards the high end of the market user tastes become very specific, making it risky for used car dealerships to tie their assets to any single vehicle with a particular configuration. Furthermore, Auto1 does not remove any of the friction individuals face when buying from dealers. 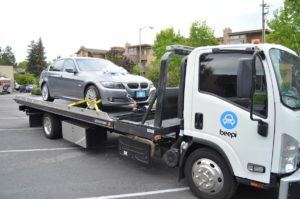 Companies such as US-based Beepi and Shift or Germany’s Carzada go one step further to fix the process holistically. They send an inspector to the seller’s house and provide an up to 30-day price guarantee throughout which they attempt to sell the car on an ecommerce type website directly to private buyers with a warranty, money back guarantee and full transparency on the car’s condition. The buyer doesn’t see the car prior to the purchase and gets it delivered home within a few days. Haggling and browsing is completely removed from the process. However, these companies continue to struggle with the costs of logistics and the particularity of buyer tastes, especially in the high-end of the market, exposing them to inventory risk once the 30-day period is over and they need to buy the car. Thus, only if buyers and sellers concede margins will these models work. Until then it remains to be seen how digitalization will change used car markets around the world, from emerging countries in which only now online classifieds start to play a role to Auto1 in Europe and Beepi in the US. Bloomberg.com. 2016. Trouble Selling Grandma’s Cars Led to $1 Billion Startup – Bloomberg. [ONLINE] Available at: https://www.bloomberg.com/news/articles/2015-07-06/trouble-selling-grandma-s-cars-sowed-seed-for-1-billion-startup. [Accessed 15 November 2016]. digital kompakt. 2016. Analyse: Wie funktioniert das Modell der Auto1 Group?. [ONLINE] Available at: http://www.digitalkompakt.de/analysen/auto1-group-geschaeftsmodell/. [Accessed 15 November 2016]. 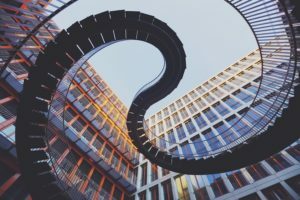 Über 100 Standorte deutschlandweit – Wirkaufendeinauto.de. 2016. Über 100 Standorte deutschlandweit – Wirkaufendeinauto.de. [ONLINE] Available at: https://www.wirkaufendeinauto.de/standorte/. [Accessed 15 November 2016]. ZEIT ONLINE. 2016. Autokauf: Klicken, kaufen, losfahren | ZEIT ONLINE. [ONLINE] Available at: http://www.zeit.de/2016/14/autokauf-internet-digitalisierung-autohaeuser-onlinehandel. [Accessed 15 November 2016]. This is a very “Smart” and “Noble” post. One “Mini” suggestion: I think you could a”Ford” to talk more about which business model you believe will win out, as right now you “Dodge” this natural question, when really you should “Ram” into it head first. In light of our recent cases about Li&Fung and Uber, do you think that Auto1 can maintain its competitive position as an intermediator of parties? It doesn’t strike me that there is a particularly resilient network effect here given that consumers would probably only sell a couple cars in their lifetime, and that enterprises would have the resources to source cars from many different vendors. Compounded by the fact that the value chain between the initial seller and ultimate buyer is longer, it would seem that Auto1 would need to find a way to achieve significant market share in order to gain market power with the buyers at the next step in the chain. What would enable them to do this? Reduce the capital intensity of its operations by not actually buying the cars? Make the car diagnostic more self-directed such that they no longer need physical locations to inspect the cars or inspectors to dispatch to people’s homes? Those seem to be the important questions for Auto1’s digitation. Donald, I found your post very interesting because I have been personally frustrated by the car buying and selling industry’s lack of transparency and structure. I am excited for technology to create better communication and accurate pricing data, and it seems like Auto1 is taking steps in the right direction. I think a big thing will for Auto1 to build trust with its buyers and sellers by being transparent in its process and prices. People may have a tendency to mistrust Auto1’s data due to the industry’s history of shadiness.